This Alan Stuart Engineering product is known as a Light Weight Sack Truck which is generally a hand trolley used for removal of furniture. 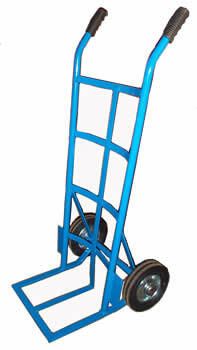 This hand removal trolley is made from a strong construction; this Light-weight sack truck is ideal for most Furniture removal or industrial environments. For more information on Alan Stuart Products such as Light Weight Sack Trucks, Piano Trolleys, Keg Barrel Trucks and Hand Trolleys, please contact us.